The International Film Music Critics Association (IFMCA) has announced the 2015 IFMCA Awards for excellence in musical scoring. The award for Score of the Year goes to composer John Williams for his work on the massively popular and successful epic science fiction fantasy “Star Wars: The Force Awakens,” from director J. J. Abrams…. 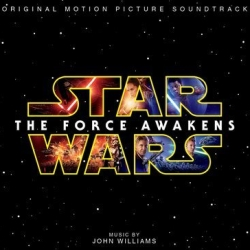 “Star Wars: The Force Awakens” is also named Best Score for a Fantasy/Science Fiction/Horror Film, and wins the Film Music Composition of the Year award for the film’s conclusive end credits suite, “The Jedi Steps and Finale”. These are the thirteenth, fourteenth, and fifteenth IFMCA Awards of Williams’s career, and it marks the third time he has been awarded Score of the Year, after “Memoirs of a Geisha” in 2005, and “War Horse” in 2011. This entry was posted in Awards and tagged International Film Music Critics Association Awards, John Williams, Star Wars by Mike Glyer. Bookmark the permalink. Nice to see the excellent score for Krampus getting some love.